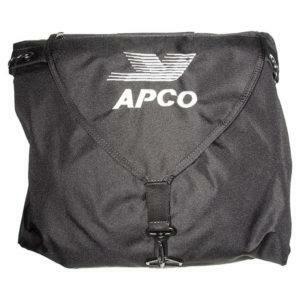 42478: Glider Backpack - Apco Aviation Ltd. 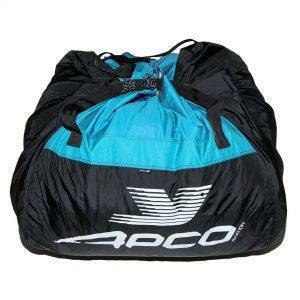 The Apco Paragliding Bag, comes as standard with each wing – It may seem a simple job to design a proper bag, many times it’s taken for granted, but if it’s not perfect it can turn an exciting XC flight into an uncomfortable hiking nightmare back to civilisation. 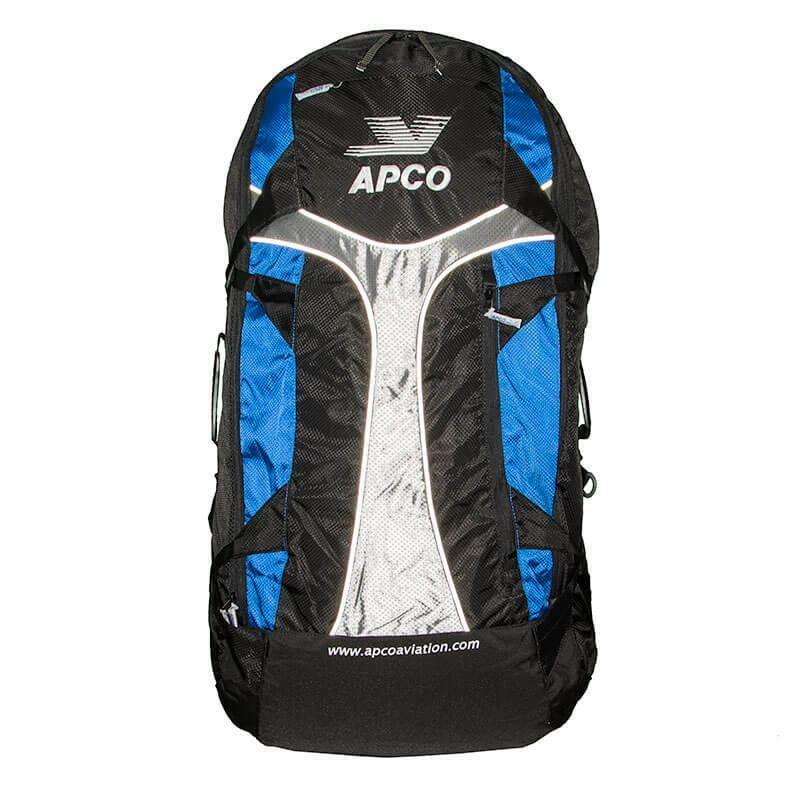 Apco’s Glider Backpack was completely redesigned, using latest materials to make it lighter, stronger, better looking and with space to carry even more. The bag is reshaped to better accommodate pod style harnesses. 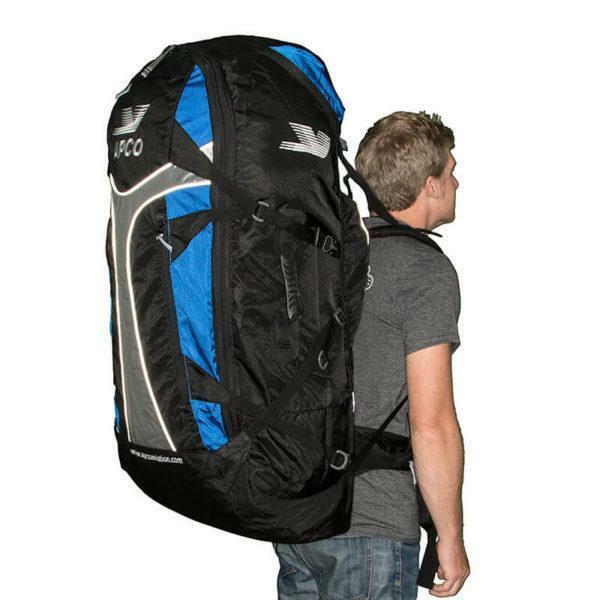 It is longer and slimmer, bringing the C.G of the bag closer to the body and spreading the weight better. 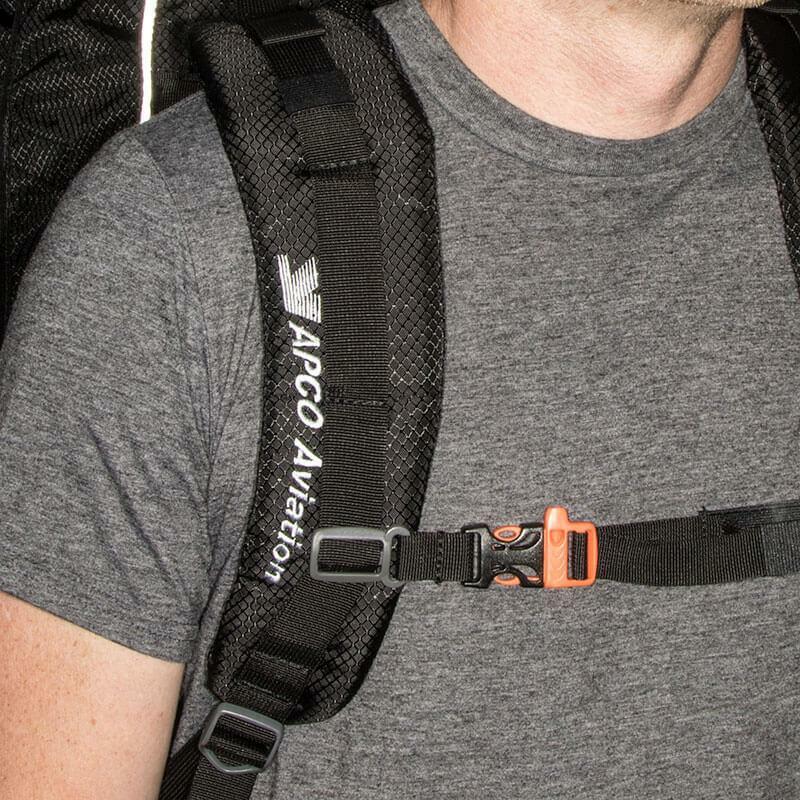 Carrying and packing comfort was the No 1 objective of this new bag and it is very comfortable even fully loaded on the longest hikes. 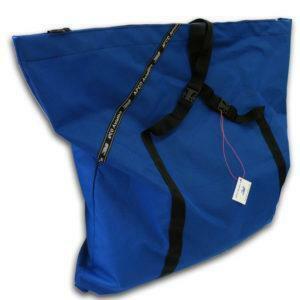 We deliberately avoided following the recent fashion of making very small and delicate bags – This bag is ROBUST and BIG and can be even bigger if the zipper expander is opened. A large bag is easy to fit all your equipment into and once closed, can be compressed with the compression strap system. 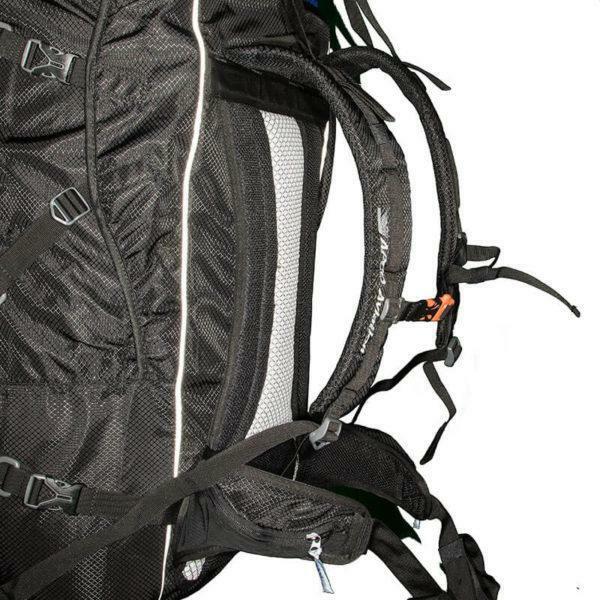 We have discovered that it is not that simple to make a good bag even better, but we did our best – you shall be the judge! 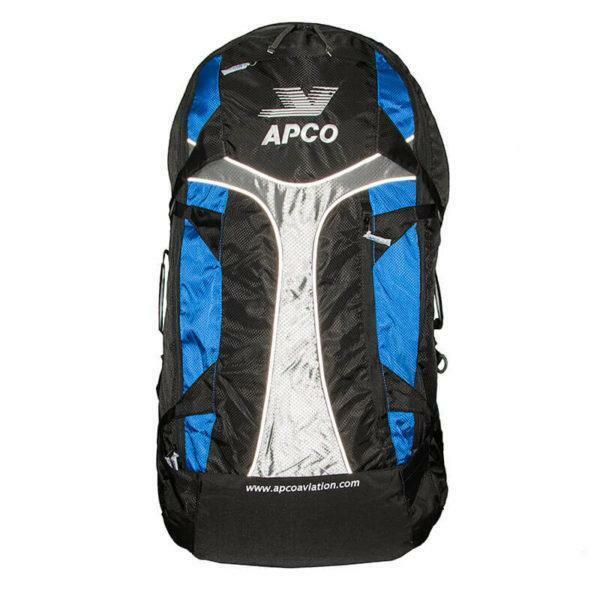 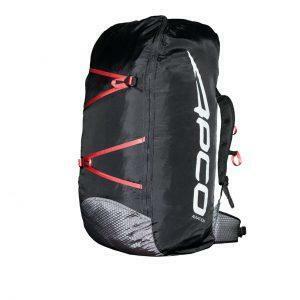 The Apco Glider Backpack is one of the most comfortable bags on the market today. 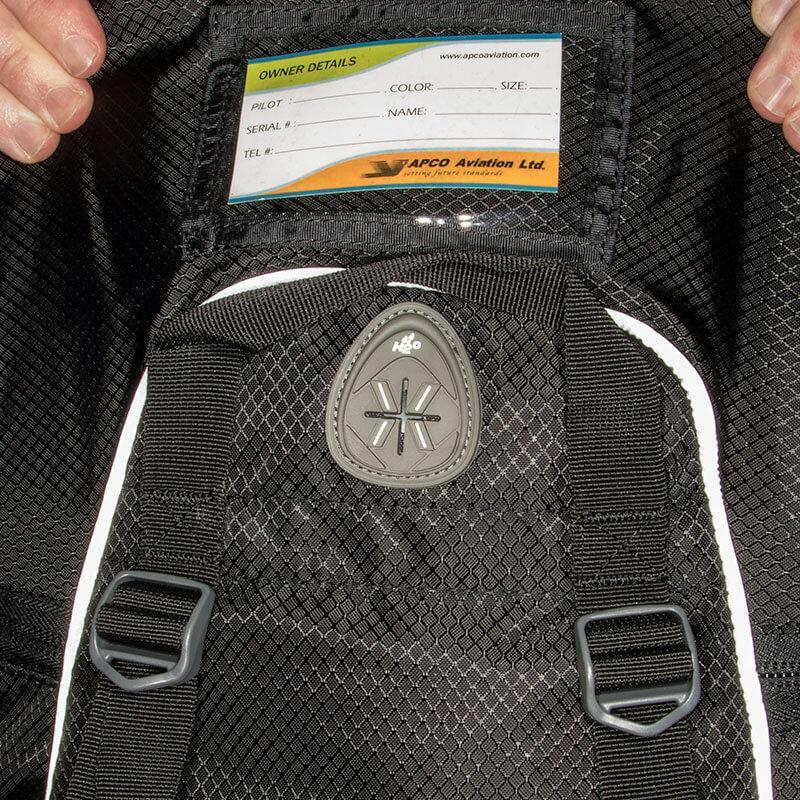 It uses design features found on modern hiking backpacks, which ensures maximum comfort on walk-ins (or walk-outs). 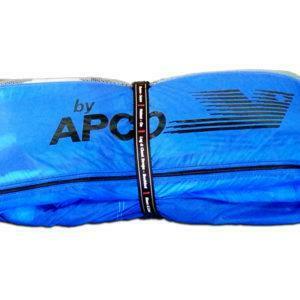 It is supplied standard with any Apco glider when purchased new, but can also be purchased separately. 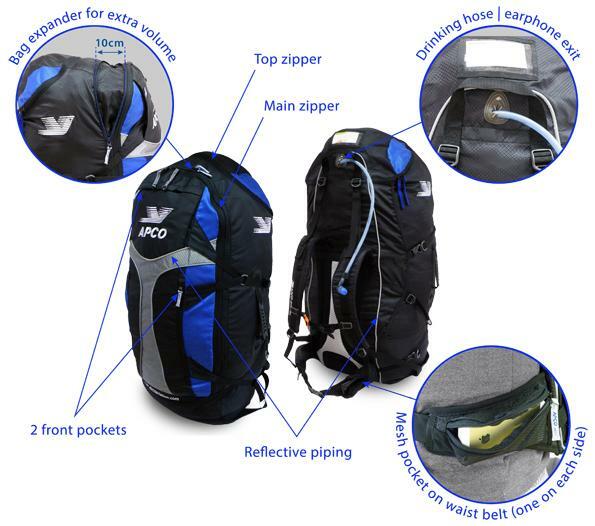 Careful consideration was taken when choosing the materials and long, intensive trials have been conducted, insuring it is strong and durable enough for intensive use. 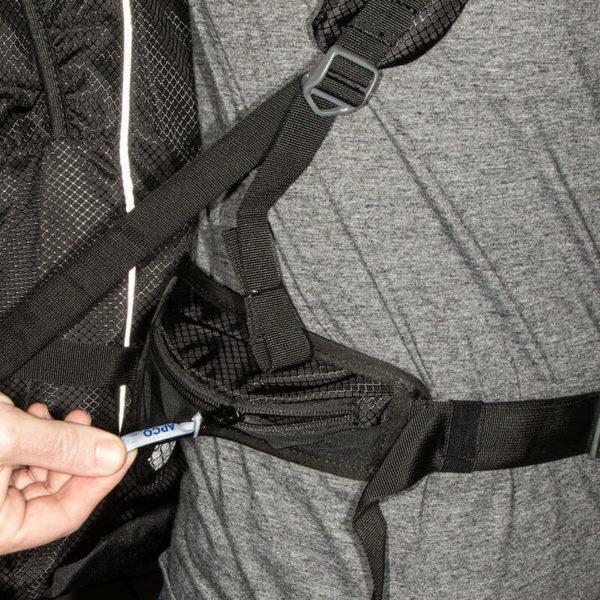 Additional zipper for top entry with no need to unzip the main zipper.